One of the latest additions to Calais’ nightlife Casino Le Touquet’s offers a wide range of games such as Roulette, Blackjack and Poker. Its highlight however is the Mega-pot in which more than two hundred machines spread in 42 casinos are interconnected simultaneously. Each of them contributes to a common jackpot, and in case of maximum combination, your win is the progressive Jackpot. The restaurant in the ground floor offers delicious pizzas and beverages at a reasonable price. A fun place to come with your family and friends and may be even try your luck. 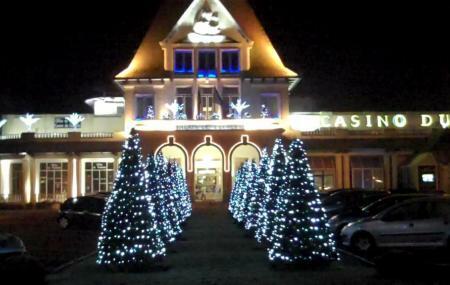 How popular is Casino Le Touquet's? People normally club together Rue Royale and Parc Richelieu while planning their visit to Casino Le Touquet's.